Wonderful cool bracelet by-and-by in sterling silver "Tiffany Style". 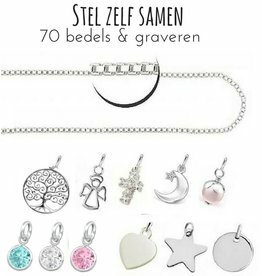 The silver graveerbedel (name, date or word) and freshwater pearl even more personal! 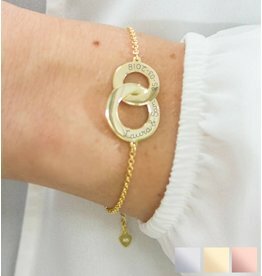 Gorgeous .925 silver bracelet when your baby's name or can engrave a special date. Supplementing with cross or heart. Now that's giving fun! Each piece of jewelry comes beautifully into its own in this beautiful box with satin inlay. see her eyes sparkle when all this box to give her? Gorgeous .925 silver jeans bracelet that you can assemble as desired. 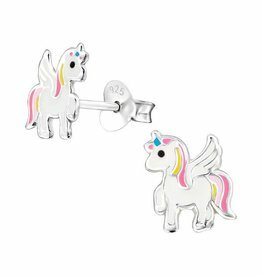 For each (small) child we dig the name + we assemble a Swarovki® birthstone of your choice. How special is that? 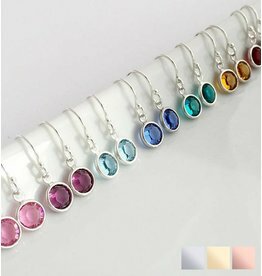 Beautiful birthstone earrings made from SWAROVSKI® ELEMENTS crystal and .925 silver. 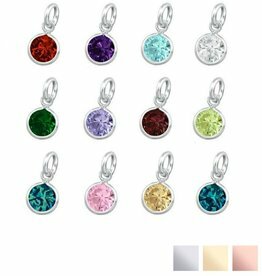 Each birth date has its own birthstone, how unique is that? A classic, now available in 925 silver and 18 carat gold plated! 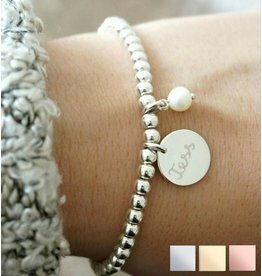 The extra charm that dangles on the bracelet makes it complete. An elegant design where you can go many ways with engraving (front and back). From child size to ladies size available. 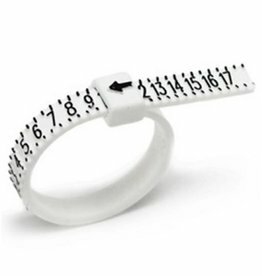 Do not have a well-fitting ring or do you doubt the size? Order here a ringenbos. This ringenbos has plastic spacers in sizes 15 t / m 22 mm. Also half sizes. With these shims you are 100% sure that you order the right size text ring.